I am inspired by Harold Hackett who has released 4,800 messages in bottles into the Atlantic Ocean. He provides his address and recieves letters from all over the world from the people who find the bottles on the shores of their country! This sounds like a fun way to make contact with people and possibly develop pen pals. Send a message possibly from the lismore beach?? I want to send a message in a bottle!! I feel like it would be cool like when i'm older and me and my kids wrote a letter and we watched it sail away in a little bottle and someone receiving it and we could right something memorable on it like "you're beautiful" or "you're amazing when your you" because everyone needs to hear/see that once in a while. Send a message in a bottle so someone can find that message and be inspired by it. Send a list of Life Lessons. I pray it will add to the life of anyone who finds it. 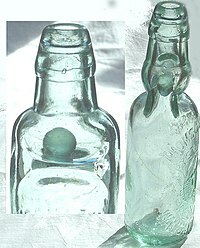 I have included sending a message in a bottle because I have always thought it would be interesting to write a message and to see if it is ever received by someone. I want to write a funny message in a bottle, and throw it into the river. Always wanted to do this and see where my message ended up and who would find it. Amazing to touch someone.. who knows when or where.. just fun! Send a meaningful message in a bottle. In the 3 top languages of the world. This may be a simple and easy thing to do. But, for me just knowing that my thoughts are floating somewhere and the mystery of if and when it will ever be open and by whom, is intriguing. Living on Lake Michigan, it would be awesome to see where the message ends up, assuming someone ever finds it. So cool, someone might actually receive it. Still thinking of what the message should be. Maybe I can get a penpal through this ? I want to do this with my partner. Spreading the love and all! I once heard a story about a person who sent out a message in a bottle with their address and they ended up with a postcard from each place the bottle landed! I thought that it was really cool! Before I die I want to send a message in a bottle. They say when you send a message in a bottle, it will find a way of getting to the person written to. Hopefully i will have the chance of doing it. I would want what I put in the bottle to be inspirational to whomever finds it. to give someone a piece of advice anonymously. Just because it seems like a romantic thing to do! I will definitely write many prayer messages in a bottle to inspire those who will receive them. I am very romantic, and the idea of a stranger finding my message and making a connection with me... is enchanting! Nothing else it more excting than that, unless your the one to find it. Sarah Arnold and I in 7th grade sent a message down the st. croix river stating who we were, where we lived, how old we were and why we put the message in the bottle. Someone found it in 2012 and called Sarah's mom and faxed us a copy of the letter and responded to it via email! very cool! I have wanted to do this since I was a child! Maybe it's the hopeless romantic in me, but there is something sorta spectacular about sending a message out to the universe, that maybe someone, somewhere will find. I tried it in Barcelona and failed cause I fell on the sand... I have to succeed! Preferably I would like to send a message in a bottle from a beautiful sunny island, have it picked up years later by a handsome stranger who will then travel the world to find me to tell me my message changed his life and then he will kiss me and we will fall in love. Or just send me a message on facebook. Whichever's most convenient. Maybe off of an island... It's so classic!